Fireman Sam and his fellow firefighters help to protect the little Welsh town of Pontypandy. In fact, I was amazed to discover that they have done so since 1985 when the show was first screened on Welsh television! A recent surge in popularity has seen a large number of best-selling toy and merchandise tie-ins that kids continue to love. The bestselling Fireman Sam backpack seems to be a particularly popular first schoolbag in the school my kids to go to, and this is backed up by the fact that (at the time of writing) it is the current best-selling Fireman Sam product, according to several of our featured retailers. The range is enormous, from the backpacks, pyjamas and dress up outfits to the vehicles, playsets and puzzles, the Fireman Sam range is here to stay. 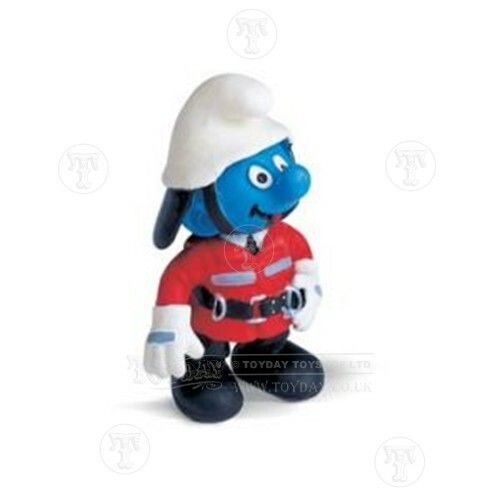 The smurf who save the smurf village when there is a fire.